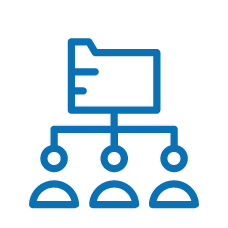 Enable a collaborative process with suppliers to plan, manage, and control better the goods and services flows across all supply chain execution phases, from the order fulfilment to warehousing. Speed up the supplier transactions of exchanging documents (i.e. RFx, Contract, purchase orders, purchase order responses, advance shipping notifications, confirmations, and invoices) using a collaborative portal. It manages automated notifications regarding new orders, changes, cancellations, and more such as online news, email or direct integration with EDI flow. Increase the quality ensuring a correct information to suppliers by sending, enclosed to the order, the drawings and completed technical details of the components or sub-assemblies. The technical order fulfilment are automatic by integration with PLM/PDM systems. Streamline the process of Internal and external complaints submission by providing a complete visibility about the results coming from inspections when are detected problems or defects (i.e. poor-quality goods or broken items). Estimate with more accuracy the customer demand forecasting using the historical sales data and statistical techniques so providing a more in-depth forecast about the items demand for production planning management, inventory management, and replenishment processes. Improve the visibility by sharing data on inventory levels with a collaborative process between clients and suppliers in order to delegate to the supplier the generation of purchase orders proposals and to the client the orders confirmation. The Vendor Managed Inventory (VMI) process is also the basic for a just in time replenishment. Provide a single point of integration from scattered data coming from orders acknowledgment, change orders, cancellations, and advance shipping notices synchronizing the ERP. Each order lines can included attachments to view such as drawings, certifications and PO delivery. Submit and manage Purchase Orders, Scheduling Agreements or Delivery Plans to suppliers enabling a two-way collaboration so suppliers manage directly change requests (quantity or delivery date) or quotation. Improve operational activities sharing data regarding scheduling release and delivery plans by receiving early notifications in case of unexpected events so improving the overall efficiency of logistic management. The alerts are trigged by workflows system. Enable suppliers to create, save, and send Advance Ship Notice (ASN) to plant or purchasing department for approval. The efficient, timely, accurate creation is assured by the pre-populated fields coming from the Purchase Order or Scheduling Agreement. 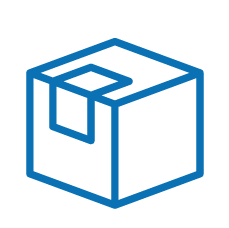 Increase the operative efficiency of tracking activities by deploy and print barcode labels on supplier’s site (at Item or packaging level)selecting data directly from the Advance Ship Notice (ASN) approved and assign unique label to the product. 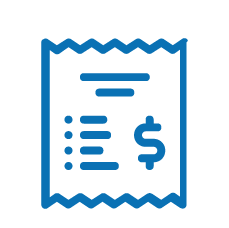 Smooth the invoice process by providing the payment authorisation or not (buy-off) after collecting the feedback that the product, service, or system meets the requirements and specifications. 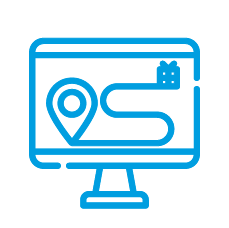 Gain efficiencies into retail logistic process by possibility to transfers customer orders directly from manufacturer or wholesaler center without keeping goods in stock. Streamline the operational activities and increase efficiency using a shared collaborative digital timetable to schedule the unloading elapset. 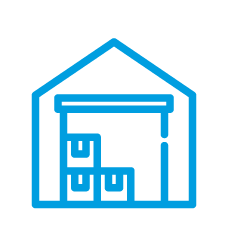 Identify the optimal picking location of the items and suggest their movement in order to keep the warehouse layout updated considering logistic needs like seasonality, special operations, assortment etc and create a list of the items wrongly placed, considering their logistic constraints (i.e. product market, module conformity, reference, fragility, etc.). Streamline the logistic management by suggesting items movements automatically to ease their picking position change with a seamless integration with the warehouse system. Improve the processing of incoming accounts payable by bringing scattered data coming from scanning paper invoices, import data from electronic invoices received via email or collaboration with suppliers based on an establish electronic invoice networks (i.e. collaborative portal or EDI). Streamline the payment process using workflow that route the different approval steps aligning with the organization’s business rules. The approval process often requires managing different stages handled by different people. Streamline the payment process using workflow that route and processe the accounts payable aligment with the organization’s business rules. The approval process often requires to manage different stages and are often handled by different people. Collaborative portal provides a real-time control of delivery times, better planning of receipt activities so increasing the operative effectiveness, reducing the litigation, and accounts payable documents reprocessing (credit and debit notes). Driving a proactive approach sharing of process logistic and needs also when unexpected events occur ensuring so the accuracy of the receiving goods process. Increase the efficiency reducing the costs and errors through a space optimization and rationalization, automation of repetitive procedures, and optimized replenishment. We manage stores throughout northern Italy and we can say that the complexities and difficulties in managing and optimizing the warehouse display are very similar to all our customers. We are therefore convinced that TESI Warehouse Efficiency can be a viable solution for them.